The Rosa comb is ideal for those just want a touch of detail in their hair. 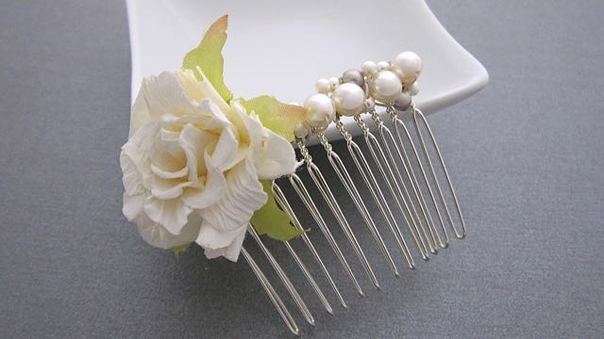 This small comb features shimmering white and cream and champagne pearls, and a cream soft paper rose. 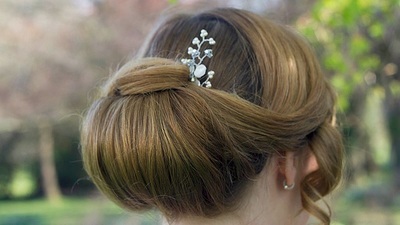 This is a small piece and is versatile enough to wear with all hairstyles. 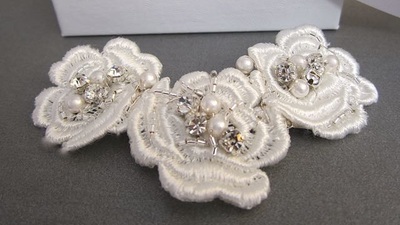 Lovely for the bride or bridesmaids of any age. 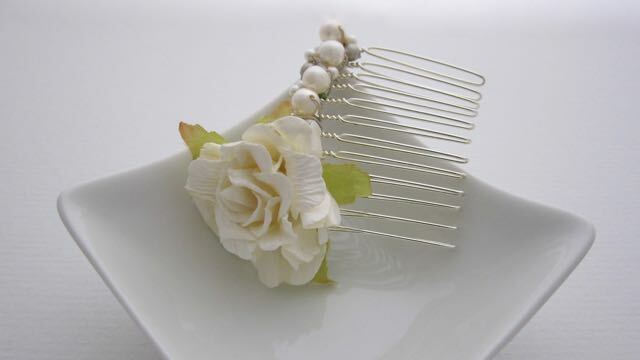 MADE TO ORDER – The Rosa comb is custom made to order. You could keep this comb neutral or add a colour to suit your theme. DIMENSIONS – Rose measures approximately 35mm diameter. 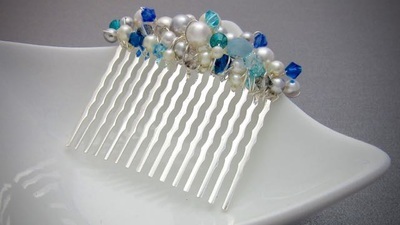 Comb measures 55mm. 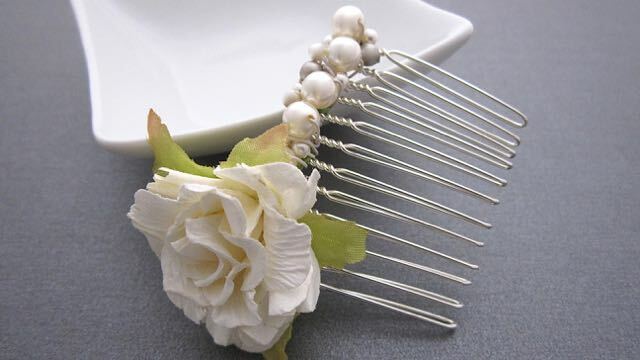 Pearls are 6mm and 4mm.